It seems like a new version of GTA 5 is just around the corner which will package the base game with several GTA 5 DLC and GTA Online content. The collection is going to be called Grand Theft Auto V: Premium Edition. According to report from Kotaku UK based on an anonymous source, GTA 5: Premium Edition is prepping for an April release after initially having a March 23 release date. The Premium Edition will include four years of DLC like the Criminal Enterprise Starter Pack which was a paid DLC release in December 2017. The report suggests that the Premium Edition will be the new standard version of the game at retail, which makes sense given that GTA 5 is nearly five years old this year. If this were an older video game industry, GTA 6 would have been announced by now. Instead, GTA Online has proven to be a monstrous success, keeping GTA 5 in the list of best-selling games year after year. GTA 5: Premium Edition was actually leaked earlier after it was listed on Amazon Germany, and then rated by South Korea's video game ratings board. However, neither leaks confirmed any information on the new collected edition. 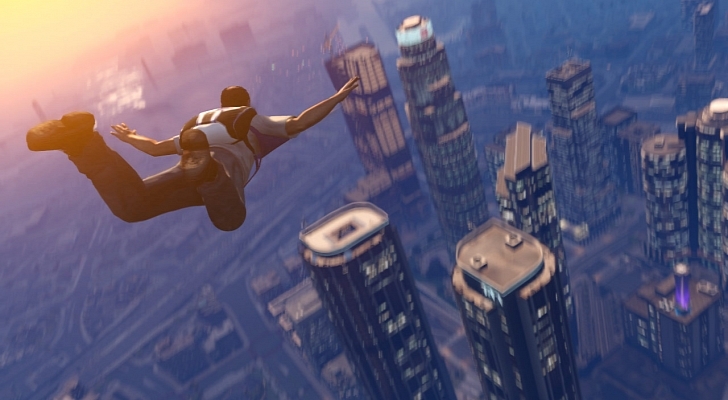 For more on GTA 5, check out our GTA 5 cheats, and our GTA 5 review. Rumors of GTA 6 have started to hit the internet, but whether these rumors are true, or just a result of GTA 5's long shelf life have yet to be confirmed. Tagged with News,	PC,	PlayStation 4,	Rockstar Games,	Xbox One.